Has anyone been reading about wheat intolerance in our country? Does anyone know why we have it so bad nowadays? Some people claim Gluten Intolerance from Roundup Herbicide is the reason. I wasn’t sure, but after reading it all of a sudden I was scared of commercially produced bread. 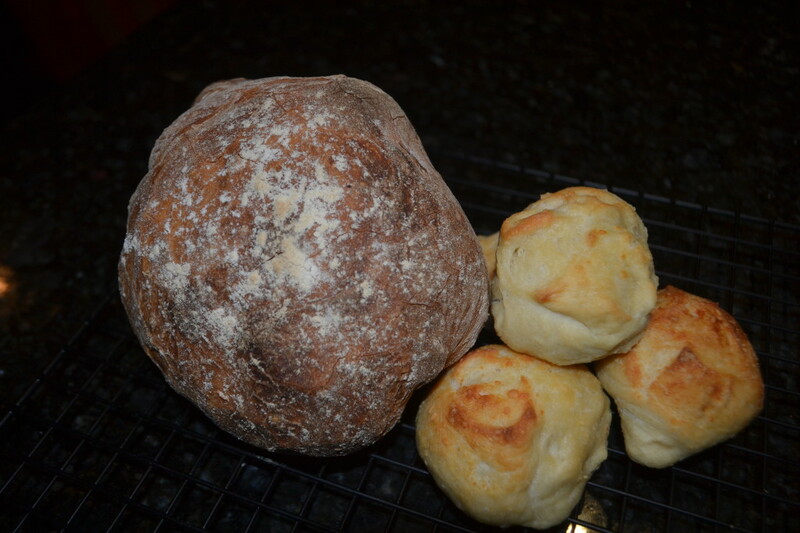 Enter my sister’s recommendation – Artisan Bread in 5 Minutes a Day. 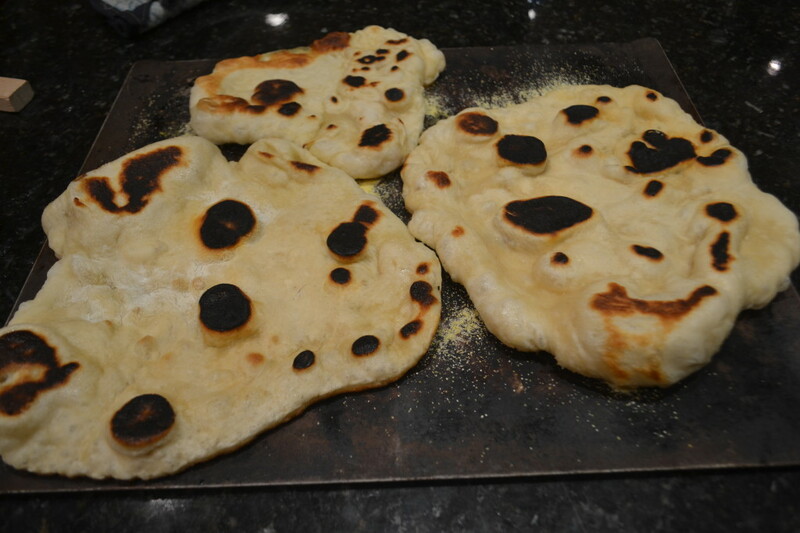 I had NO IDEA it was so easy to make bread. And how much more delicious it would be than the stuff you buy at the store. 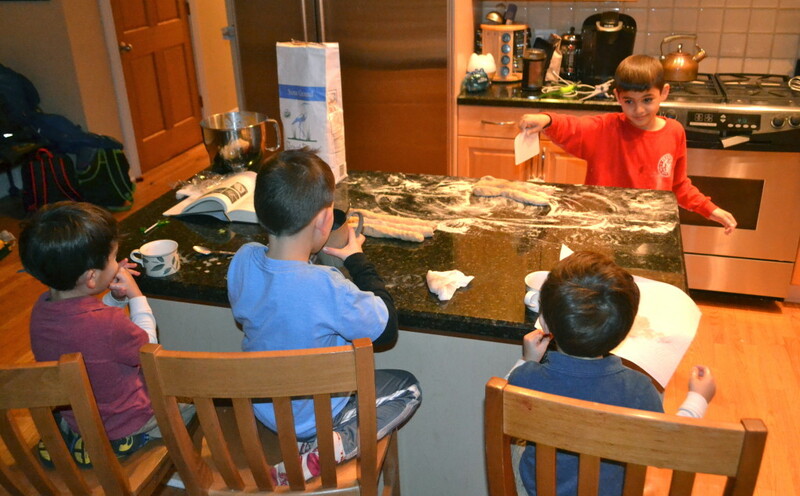 Jack and I have become professional bakers! 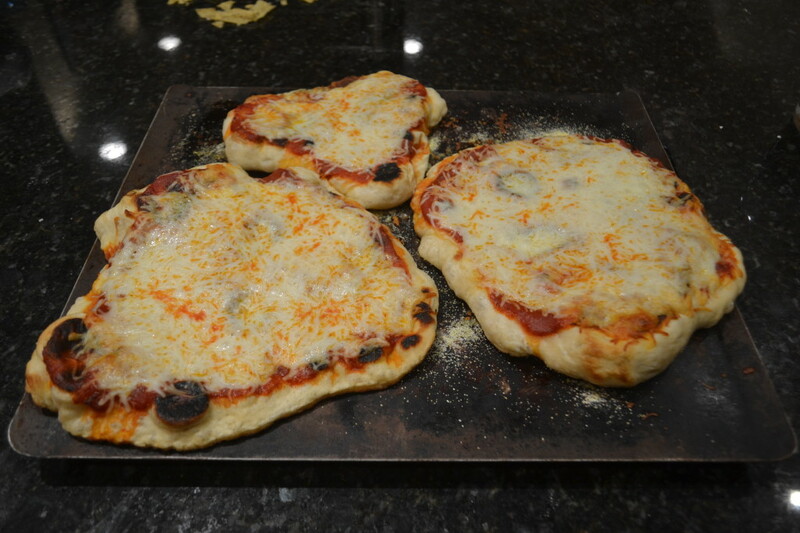 Which we turned into pizza…. Next we moved onto Challah bread. 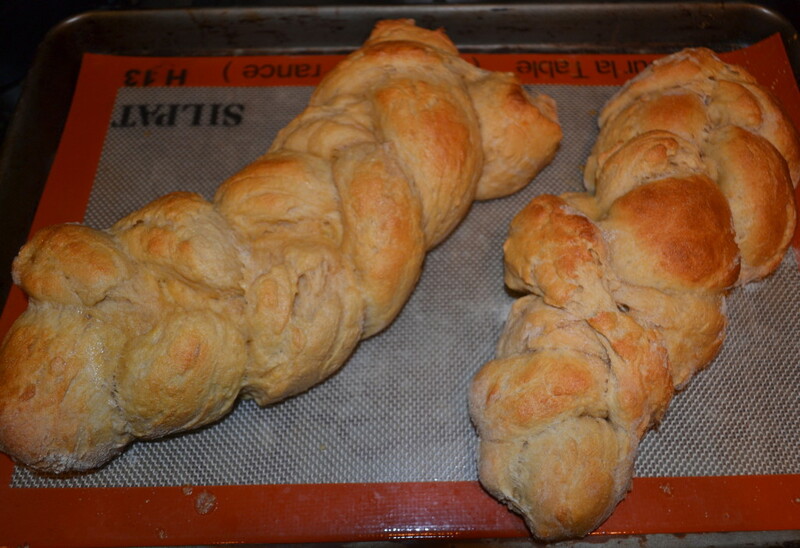 Jack and I made matching braided breads. At first the other kids were happy to sit on the sidelines, sipping hot chocolate and watching. 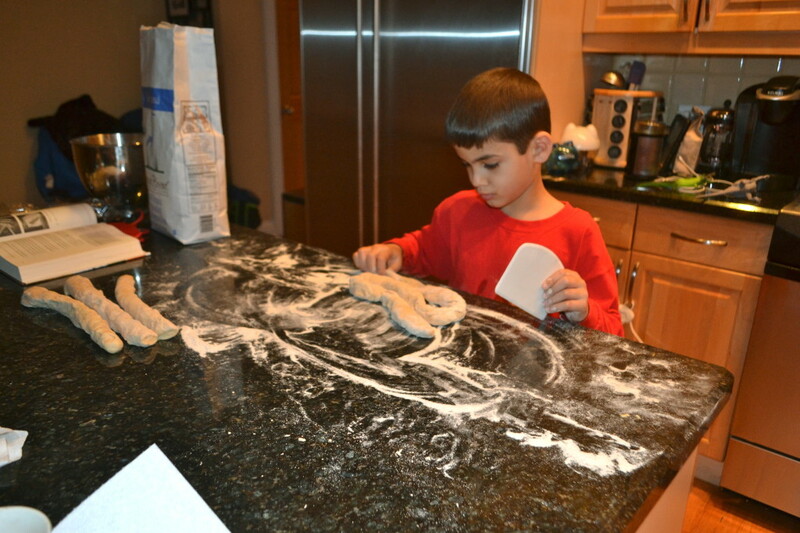 But soon we became a full on “baker’s half dozenish”. Here is all the great shapes we came up with. 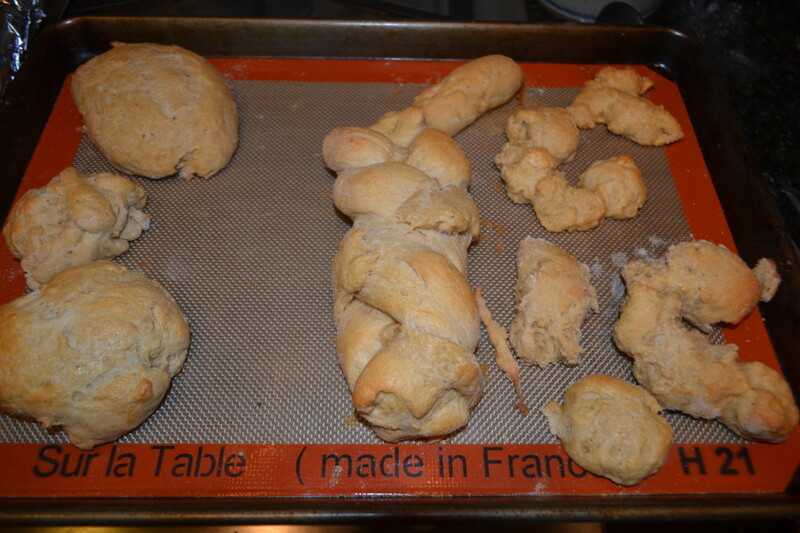 Jack made ‘car challahs’. Can you spot them? Ben wanted a braid of his own. 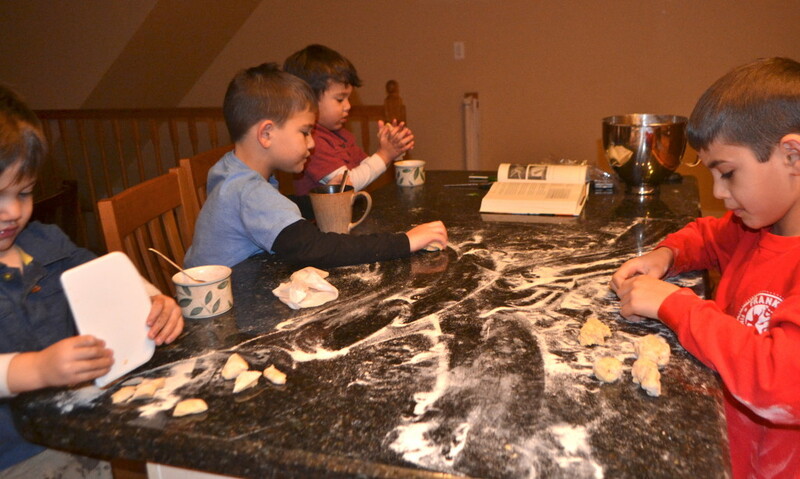 It’s been so much fun to do this with the kids. More than I imagined it would be. And as an added bonus I’m saving money and feeding my kids less preservatives and added sugars. It’s a very satisfying venture all the way around.